List a few of your horse(s)' major accomplishments in 2017 We did not win a single rodeo in 2017. 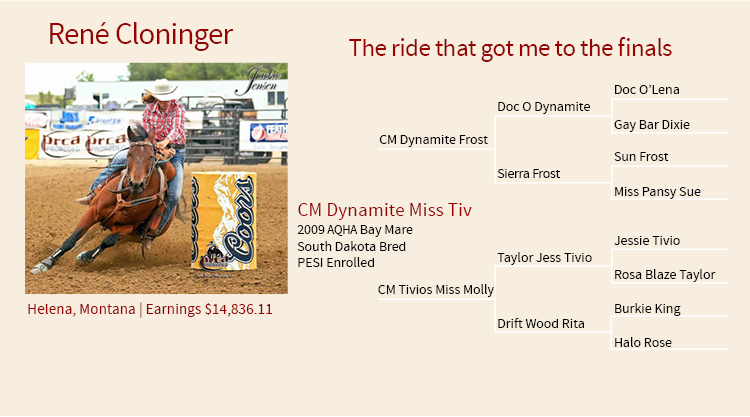 Dixie placed consistently throughout the year and we were able to pull some nice checks at the bigger added money rodeos. What is your riding/training schedule with your rodeo horse(s)? During the week I mainly exercise Dixie in the pasture and trail ride. I will do some slow barrel work if necessary. My favorite part of barrel racing is being able to compete and travel with my daughter Shelby Blixt and my sister Carrie Murnion.